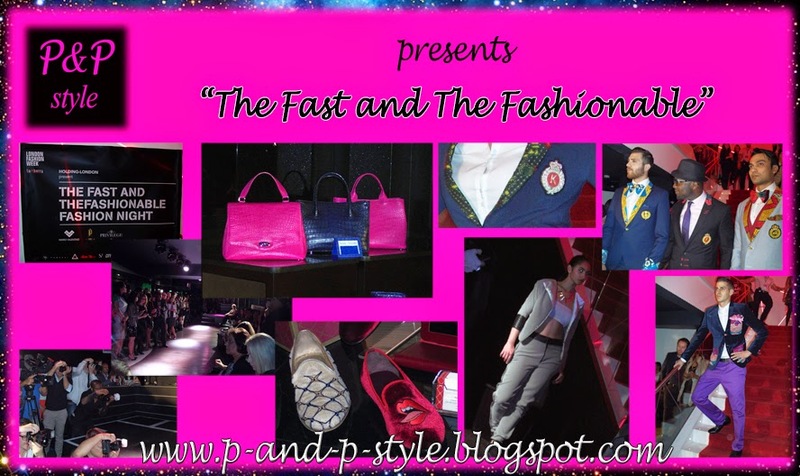 The second event that I visited was "The Fast and The Fashionable" at Press Club (12th of September 2014). At the event there were attended more designers: for clothes, bags, scarfs, socks and shoes. There was a stage with catwalks (my first experience) and lots of people. who presented a great collection at that night. I loved his details on the clothes (pictured above right). Check out my first LFW-post here. Sounds like a great fashion event! I bet you had a great week full of inspirations! Que suerte poder ir a ese evento, genial el collage!